The Land Committees exist for a multitude of reasons. One of them is obviously to enjoy our sport, and to promote it in a positive manner. However, we are also here to offer to the landowners a couple of different benefits. One is to be the eyes and ears for the landowner, watching for vandalism, illegal activity and garbage dumping. Another is to insure them that their land is being respected and used properly by the people who have been given the written permission. Last but certainly not least, to let them know that their land will now be cleaned and maintained by the members of the Northeast Association of 4WD Clubs. After achieving written permission for the areas that we would like to use and maintain, we will then do all of the research that is necessary to find local resources for garbage removal, metal recycling, and other needed resources. We will then continue forward with the cleaning, maintaining and self-policing. This is all to insure that the property is used respectfully, and that TREAD LIGHTLY is promoted and practiced. The sport of Off Highway Recreational Vehicle use (OHRV or modified SUVs) has been taking a large amount of heat from both environmental groups and the public in general. Much of the concerns these groups have are based on a lack of knowledge and understanding of the sport and those involved in it. This report will cover three main areas associated with OHRV use. The areas that will be covered are Environmental Impact, Media Involvement and Individual Commitment. If the groups opposed to OHRV use better understood the sport there would be less tension between the groups. Those involved in OHRV clubs are very committed to the sport and the land they use, these members should be able to legally recreate on designated lands. Many of the groups opposed to the sport say that the people involved with OHRV use have nothing good to offer to the environment and the land that the use. This is not true. A large number of OHRV users are involved in clubs or organizations that are frequently involved in trail clean up efforts. The trash and pollution surrounding the trails is cleared out of the area and taken to proper disposal facilities. The clubs and members involved are doing this on their own time and of their own accord. Figure One is a photograph of a club member’s truck full of trash that was removed from a trail side in New Hampshire. The particular area had already been closed to OHRVs. The members of the NorthEast Association of 4WD Clubs saw the need for a clean up of that area and made the necessary arrangements to do so. The clean up lasted for the entire day and more than 8 trucks and Jeep loaded with debris was hauled out of the area and disposed of. None of the local environmental groups had even attempted to arrange an effort to remedy the problem in this area. The environmental clubs have as much manpower or more than the Association involved. These groups could have done the clean up with the same amount of effort if not less. They may even have received funding of some sort in order to complete the clean up. OHRV clubs and their members do care about the environment and should be allowed their fair share of what Mother Nature has to offer. The members of the general public who are not involved in either OHRV clubs or environmental groups do not know the details of the battle. They are left to make their own assumptions based on what they are shown and told by the media. The majority off the media reporting is biased and unfounded. As of late, the media appears to be catering to the environmentalists and making all motorized sports seem completely destructive. On March 30, 2002 a report on ABC World News showed an inaccurate account of the happenings at an area that is used frequently by OHRVs. This report showed what had happened on very rare occasions and passed them off as being a daily occurrence. There has yet to be national news coverage of the wide spread clean up efforts of many OHRV clubs across the nation. This type of biased, one-sided and inaccurate reporting on the sport needs to be investigated and weeded out. A well maintained trail network leads to a much better experience for the OHRV user. OHRV users who are involved in clubs are aware of this and do their part to maintain and clean up the land they use, they also do their part to do as little damage as possible while using the trails. OHRV clubs and their members care about the environment and should be allowed their fair share of what Mother Nature has to offer. Those who are not intimately involved with the sport of OHRV use have no idea of the amount of personal time and money one puts into the sport. These vehicles are designed and built to do the best they can in the trail as well as do as little damage to the land as possible. A Lift is needed to increase ground clearance and allow for bigger tires. Better ground clearance prevents the undercarriage from dragging on the rocks and such, preventing that sort of damage to the earth. The Differential Lockers are needed to increase the vehicles traction. Increased traction leads to decreased tire spin that causes erosion and other damage to the land. The Wheel and Tire combination is also chosen to offer the best ground clearance and traction possible. Trail Supplies and equipment allow the OHRV enthusiast to enjoy the sport while having the necessary safety equipment. These items may include first-aid kits and Global Positioning Systems as well as communication devices to prevent getting lost and to increase safety. Differential Gears are yet another item used to increase the traction of the vehicle. OHRV clubs and their members do care about the environment and should be allowed their fair share of what mother nature has to offer. OHRV users are very concerned with the condition of the land and environments surrounding the trails that they use. They are frequently involved in clean up efforts. The media provides a biased and inaccurate portrayal of the sport and its members. The vehicles are designed to do as little damage as possible and it requires time and money to do so. Members of OHRV clubs should be allowed to use designated lands for the sport. The maintenance and cleanliness of these lands would be the responsibility of the clubs. The members who are involved with these efforts should be allowed to utilize the facilities at no cost. OHRV users who do not wish to assist with clean up and maintenance would be able to use the lands for a fee. These fees would go to either the clubs in order to cover the costs of maintenance as well as to the state groups responsible for land care. OHRV clubs and their members do care about the environment and should be allowed their fair share of what Mother Nature has to offer. A question was recently asked why we do not have access to public lands. This was my response directed at the individual 4-wheeler, but contains information that pertains to everyone…. There are many different reasons our sport does not have access to public lands. First let me concentrate on State land and why we do not have access. Your tax dollars are not directly used for MOTORIZED recreational purposes, i.e. ATV, dirt bike, and snowmobile trails. All these groups have sticker programs where the funds generated are used for trail development as well as maintaining a police force to oversee this use (MA-EPO & NH Fish and Game). Another thing keeping us out of the MA state lands is the blanket weight policy forbidding vehicles over 1000 pounds. You do have access to your public land, however it is just not the way you choose. Any type of activity on state or federal public lands is driven by public input. Anyone who has been on this board awhile has heard me asking for letters, emails, and faxes in support of motorized use in the White Mountain National Forest. When these agencies receive all the comments from concerned citizens they boil them down and from the public comments develop a forest plan. Although we a VERY vocal group we are a huge minority. Our comments supporting our sport were insignificant when compared to the 10s of thousands of comments pleading to keep the back woods pristine and telling of the evils of motorized use. Let us compare ourselves to the ATVS. IN NH there are over 50,000 registered ATVs. Our numbers throughout New England do not even come close. Before you say it, I know it is not fair. I’ve spent an uncountable number of hours sitting through meetings discussing our case, but this is the world we live in. I know it is not a popular thing to say but more people need to step forward and become more active in the politics of this sport. Everyone wants trails and access but there are only a few willing to do the work, which includes attending meetings. We will never get this unless we all begin to work together. The next thing people need to do is become organized and join a club. We cannot show our numbers to the state and federal agencies otherwise. If you don’t like the clubs that are out there start a new club. There are many people around who can show you how, it is easy, trust me. Take responsibility for our actions as well as other users. The Northeast Association of 4WD Clubs did an Earth Day clean-up at a location our clubs have not used in over 3 years. WHY? We are taking responsibility for the actions of others to try and repair some of the damage with the landowners. We are also attempting to show that we do care for the environment, the world, and the communities we live and recreate in. $50 million in grant money is available to trail recreationists nationwide. The Recreational Trails Program (RTP) provides Federal Highway Administration (gas tax) money to trail users across the nation. Motorized recreationists have yet to take full advantage of this funding. The BlueRibbon Coalition (BRC) is changing that. BRC has contracted with Del Albright, BlueRibbon Ambassador, to help motorized recreationists tap into this grant money nationwide. Del is a 40 year veteran of off-pavement recreation who has been active in land use and access for over 20 years. RTP funds are split three ways; 30% motorized recreation; 30 non-motorized recreations; and 40% multiple-use recreation. Each state controls how the money is spent on the ground. 5. Until now there has been no single point of contact to help users understand the process, find a sponsor, and facilitate getting the program implemented. 6. The BlueRibbon Coalition is out to change that! R : Rehabilitation of existing trails and facilities. The BlueRibbon Coalition has directed Del to reach out nationwide and get the RTP funds implemented in motorized recreation. After completing a full analysis of his nationwide survey, Del has been making contact with motorized recreationists nationwide to collaborate with them in getting RTP funds put to use in their state. He facilitates meetings, provides advice and assistance, and conducts educational programs to help users understand the process and get involved. With his nationwide database, he has access to improving the program in many areas. This is resulting in trail users having more and better trails that will remain open and available to them. ATV’ers, off-road motorcyclists, snowmobilers, four-wheelers, and dune buggy riders are benefiting from this effort. Is *Wilderness* Stealing Our Heritage? Being a full time land use/access advocate, I hear a lot of opinions about the management of public lands, many of them spot on; some of them a bit out there. But this one really made me step back and think. Is the designation of Wilderness areas stealing our heritage? The original Wilderness Act of 1964 was not bad legislation. In fact, most organized recreation groups supported the idea of setting aside pristine, *untouched* landscapes and leaving them non-accessible by motors and mountain bikes. We need places untouched by man, unmarked by the scars of development. President Teddy Roosevelt started the first official beginning of “preserving” scenic wonders on a national level; but have we now gone too far? I have heard accounts of official agency personnel setting fire to historical buildings and mining camps, just because these treasures all of a sudden were behind some line created on a map that said they were now in Wilderness areas and needed to be removed so there would be no trace of man. I have personally seen the results of agency *rehabilitation* of mining camps, historical buildings, and historic roads — rehabilitation being the removal thereof. I have interviewed youth work crews hiking into new Wilderness areas, under orders from the park agency personnel, with the job of *removing any trace of man. * Doubly unfortunate is that these same areas harbored hundreds of miles of roads and historic mining camps that were thought to be of value just the year before a new Wilderness designation. I have lost track of the number of cabins and homesteads I have personally visited that are no longer accessible by vehicle — and many of which were *obliterated. * In so many cases, Wilderness designation has meant historical destruction. One park ranger type official tried to tell me that in his area, buildings just fall down from lack of maintenance and attention, once they are in Wilderness areas. I understood that, but he didn’t have an answer for me when I asked him how the material (wood and artifacts) all disappeared also, and how the area where the building stood now has planted vegetation (rehabilitation?) and no sign of occupation or use. How about the fact that we’re not supposed to use motors or mechanized equipment to fight wildfires in some Wilderness areas? In the 1964 Wilderness areas, this is not a big deal. Here we’re talking high country — high mountains, pristine places where there are no subdivisions nearby. But new Wilderness can be in your back yard today. The old guidelines of *no trace of mankind; pristine; untouched* are meaningless in today’s application of Wilderness. So when a large conflagration starts tearing up the countryside (in Wilderness), we’re not supposed to drive fire engines into the brush and timbered areas where the fire is burning. We’re not supposed to crank up chainsaws to fight the fire. We’re not supposed to fly helicopters into or around the Wilderness area as that constitutes using motorized equipment. Helicopters routinely fly into a world famous Wilderness area, named after a world famous environmentalist, to service man-made bathrooms (contact me if you’d like to read the documentation on this). It’s OK to fly and land a copter into Wilderness to service a bathroom, but we can’t fight fire with one? You will find plenty of folks who will justify flying a helicopter into one Wilderness area to service a bathroom, just as you will find plenty of folks who would march in protest against flying helicopters to fight fire in an Oregon Wilderness area. Does this seem arbitrary and capricious to you? In reality, even the 1964 Wilderness Act left room for maneuvering and in the opinion of some folks, manipulation. Existing and previous uses can be accommodated in today’s Wilderness areas, depending on the slant of the current management. So yes, we can leave old historic mining buildings in one Wilderness, and tear them down in another. At some point, we have to ask ourselves the real purpose behind new Wilderness areas. Who is getting something out of this? Because when they steal my heritage, take down the homestead that maybe your family once lived in, try to remove roads, trails and all traces of our historical presence, it just begs the question of who is benefiting Further, you have to ask, who is the goose and who is the gander here? Do we manage Wilderness based on convenience? Do we manage Wilderness based on one ranger’s bias? What gives? Allow me to add to add one last twist; our country has millions of acres of Wilderness Study Areas (WSA) that are under consideration for Wilderness designation. Some WSA’s have been around for over ten years. Some have already been converted to Wilderness. Few have gone away. I urge you to keep a careful eye on WSA’s in your area. It matters not that a WSA has roads. It matters not that your great grand parents might have had a homestead there. I suggest you talk to your elected representatives about WSA’s in your area. They are prime targets for future Wilderness designations. I believe that people like Teddy Roosevelt, most of our US Congress folks, and many of our country’s leaders were well-intentioned in the creation of some of our parks, preserves and 1964 Wilderness areas. But somewhere along the way, *special interest groups* and a few people in powerful positions, have twisted the usage constraints of our public lands into something ugly. It is time to speak out against this outrage. It is time to stand up for our heritage. It is time to hold accountable those that promote their own agenda under the guise of saving our heritage while tearing down the remnants of our past. It’s your time. Get connected with the process and your elected officials, and be sure that Wilderness is where it belongs. Don’t sit by while someone steals your heritage or endangers the safety of your home. Del Albright, internationally published columnist, BlueRibbon Coalition Ambassador and Environmental Affairs Coordinator for CA4WDC, has authored volumes over the last 20 years on land use, outdoor recreation, and access. Contact BRC at 800.258.3742 or www.sharetrails.org; or visit Del’s web site at www.delalbright.com/. Del is partially sponsored by the Off Road Business Association (www.orba.biz). Del Albright BlueRibbon Ambassador, BlueRibbon Coalition Life Member State Environmental Affairs Coordinator, CA4WDC Trail Boss, Friends of the Rubicon (FOTR) Del’s Web Site: http://www.delalbright.com/ Ph: (209) 304-7693 (Cell/Pager) Ph/FAX: (209) 286-1009 (Office) 8024 S. Main, Mokelumne Hill, CA 95245 Sponsored by: ARB 4×4 Accessories; Rubicon4x4.Com; and the Off-Road Business Association (ORBA). The following documents are from several different sources that contain information to assist in trail building and erosion control. These Best Management Practices are intended as guidelines for erosion control and wetlands impact minimization/avoidance during trail construction and maintenance activities. 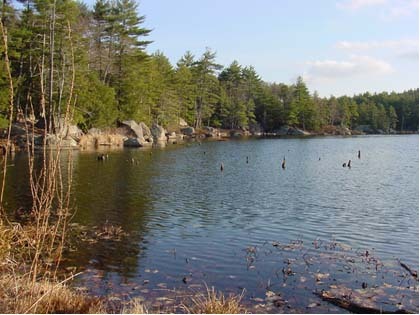 It was developed as a reference tool to help protect NH’s natural resources. This manual outlines the various classifications relative to potential wetlands impacts and is a criteria for trail construction and maintenance per DES Administrative Rule Part Wt 303.04 Minimum Impact Projects. Here are some great articles from the IMBA. Although they are written towards bicycles, these techniques can easily be applied to motorized trails. On the below site they describe various structures to minimize impact and control drainage. The older techniques can be done without machines, although machines make the work go faster. The newer techniques are almost impossible to build without machines. Safety is the name of the game. So please, when you are out on a trail run, Class VI, or a trail maintenance day, remember to use your biggest safety asset… your head. When cutting, stay out of the way of the falling trees and be aware of those around you, especially when cutting. Sounds like a no brainer, I know, but accidents happen and it’s usually because of carelessness. Wear your safety gear! Sure, it may make you look silly or feel slightly uncomfortable, but those chaps may just save your leg, and the safety glasses save your eyes. WEAR BUG SPRAY! With all the warnings of insect carried diseases, not to mention pesky bug bites, it’s a good idea to carry bug spray and wear long pants and long sleeves. When walking in the woods, pull your socks around your pant legs to prevent the ticks crawling up your pants. As the summer goes on and the weather gets warmer, remember to bring lots of water to keep hydrated. Wear sunscreen and bring a hat along to block out the sun. Even though we’re usually in the woods, it’s still easy to get burnt. In addition to personal safety, I would like to remind everyone that we are guests on the properties we have permission for, and even when we are on public land. It is a privilege and we should be thankful that the landowners and towns are so generous. In order to continue to use the properties for our enjoyment, we need to keep them in great condition. That means we need as many people as possible to help with trail maintenance days. Always practice Tread Lightly! principles and lead by example. I think you all get the gist, and I know it’s not anything you haven’t heard before. Enough preaching! Have a GREAT year and see you all on the trails! *Jennifer Codispoti is now an employee for the NH Trails Bureau and due to a possible conflict of interest has very limited involvement with the NEA4WDC. Jennifer’s contributions to the NEA4WDC while she was active had a significant part in the success of programs such as the Map VI Program and the NH Land Committee. Your Tax Dollars at Work……RTP funds directed where? There are hundreds of millions of taxpayer dollars available to build ATV trails around the nation, and in your state. So why aren’t the trails being built? After all, it’s your money. In the early 1990s, Congress passed a law to create the Recreational Trails Program (RTP). The program is set up to distribute a portion of the gas tax that is collected on every gallon of gasoline purchased for off-highway use. This includes ATVs, dirtbikes, snowmobiles and SUVs. The amount collected since then has been almost $350 million. How do the millions of RTP dollars get spent? According to the Federal Highway Administration (FHWA), most states (except small ones) are supposed to divide up the money like this: 30 percent for nonmotorized trails, like those for hikers; 40 percent for multi-use trails, which could involve trails used by hikers and bicyclists, or in some cases nonmotorized and motorized users; 30 percent for motorized trails for use by ATVers and other OHV users. But up to 5 percent can be used for education. A report by the Coalition for Recreational Trails (CRT) that was presented to the FHWA, however, found that from 1993 to 2002, projected funding for motorized projects was just $43,319,108. So what happened to the other $295 million of our money? Well, $125 million went to hikers. So you paid for many miles of hiking trails! OK, now do some quick math. Take the total $350 million and subtract the money allocated for projected motorized and nonmotorized projects combined, That still leaves $179 million of your gas tax money that is not accounted for. Where did that money go? After all, federal law says that if you don’t use it or don’t earmark it for something, then you might lose it. And states aren’t using millions of dollars that could be used for trails, motorized or non-motorized. What a slap in the pocketbook. Changes to the law have been proposed but most likely the law won’t change. Do you have hundreds of miles of new ATV trails in your state? No? Well, you can find out by reading the same report that I am reading. According to how I add and subtract the numbers, there are some real winners and some losers among the states. Let’s start with Nebraska, a loser by my math when it comes to funding motorized projects. The FHWA reports that Nebraska has $4,629,657 for projects and only a measly $159,456 over the last 10 years has been spent on motorized projects. Hikers, on the other hand, have put $2,724,956 of our gas tax to good use. Did the ATVers in Nebraska even get a thank you? I think not. Dan Nitzel, business manager with the Nebraska OHV Association, has been applying for motorized grants for years, only to be turned down year after year. New York, meanwhile, received $8,449,398 but doesn’t report any projects funded. There must be a glitch in the report or New York officials don’t want to report which projects they’ve funded, or maybe they haven’t funded any at all. Who do you contact in your state to apply for Recreational Trails Program (RTP) grants or to find out where your tax money is going? Try https://www.fhwa.dot.gov/environment/recreational_trails/rtpstate.cfm. These millions of grant dollars will take work on your part to actually turn them into trails on the ground. States operate differently: some will only allow government agencies (cities, counties, etc.) to apply for grants, others also allow nonprofit organizations to apply, and some even allow individuals to apply. This is not free money. Each state is required to match the funds in cash or in-kind contributions of 20 percent to 50 percent. There are some winning states for ATVers and OHVers, however. California has spent $3.4 million, Michigan $2.7 million and Texas $2.3 million on motorized projects. Of course, nonmotorized projects received more of our gas tax: $6.5 million in California, $5 million in Michigan and $5.7 million in Texas. But at least they did something for OHV projects. The next time you attend a local planning meeting where they will talk about trails download the information from one of the websites I gave you and share with the nonmotorized groups where millions of trail dollars come from.